Audi South Africa posted a cheeky post on Twitter on Wednesday (May 16) after an image of one of its German rival brands using an Audi Q7 was spotted online. The post sparked much interest in Twitterville and left Tweeters anticipating some fun in the form of banter from Mercedes-Benz. 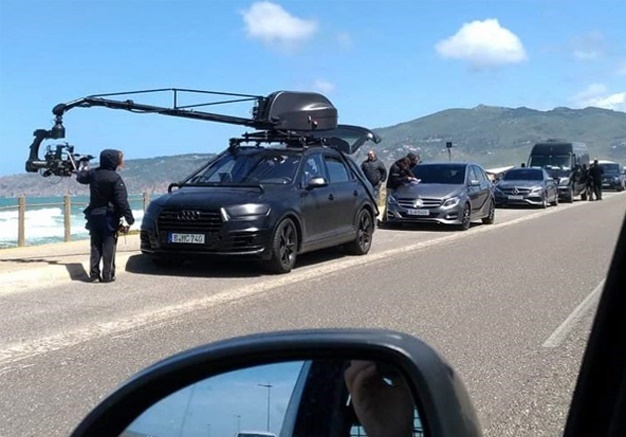 An apparent Merc advertisement shoot saw a few of the automaker's cars lined up on the side of a road alongside the beach. Ahead of the pack was a black Audi Q7 with a mounted camera. Of course Audi South Africa took the opportunity to spot a bit of jesting. Audi SA tweeted: "Spotted! @MercedesBenz_SA shooting their next TV commercial…using an Audi Q7. Looks like our friends really do believe in the #BestOrNothing"
I see an Audi playing slave to Mercedes. Some has definitely been fired over this but what a tweet from @audisouthafrica Hilarious ? ?